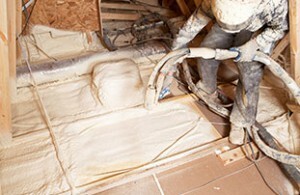 HomeBlogInsulation: Learning The BasicsWhat is Spray Foam? Polyurethane spray foam is an advanced insulating system that prevents air, moisture and vapour from entering your walls, floors and roof. It spreads easily and evenly to seal cracks, leaks and air pockets, thereby eliminating drafts, cold spots and dampness as well as mould and mildew. Applied as a liquid, it expands to more than 100 times its size. It can be used to effectively seal any space from your basement to your attic, in any architectural design. 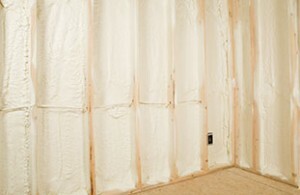 There are 3 different types of spray foam; each has its own benefits. The trained and experienced technicians at Platinum Spray Foam can help you select the right type for specific areas in your building. Proper installation is also key to optimizing its performance. When applied correctly, you can save up to 50% on your energy bills. As the name suggests, in closed cell spray foam, the cells are tightly packed together when compared to the open cell foam which is the least expensive type. Density naturally determines the strength and level of protection you enjoy. Here are some key points of differentiation to consider. Density range is 0.5lb per cubic ft. to 1.2lb per cubic ft.
Density range is 1.7lb per cubic ft. to 2.2lb per cubic ft. Typically recommended for below grade foundation walls (basement walls), indoor swimming pools, wine cellars, freezers, etc. Call Platinum Spray Foam at (416) 635-8600 or request an estimate online. You can also visit our store to see our products and talk to our team.